Medical Research Council Epidemiology Unit, Institute of Metabolic Science, Addenbrooke's Hospital, PO Box 285, Hills Road, Cambridge CB2 0QQ, England. This study is especially impressive since it utilizes plasma vitamin C measurements in making its evaluation of the incidence of diabetes mellitus in a test population. Trying to evaluate by questionnaire how much fruit and vegetables have been consumed is imprecise at best. As well, different digestive tracts have variable degrees of efficiency in the amount of nutrition absorbed and assimilated. However, in looking at the relation between plasma vitamin C levels and the likelihood of having diabetes mellitus the data makes a compelling case. However, even with the imprecision inherent in evaluating fruit and vegetable intake, it was found that women and men who had the highest intake had a 22% reduction in their risk of developing type 2 diabetes. The upper 20% of women consumed 58% more fruits and vegetables than the bottom 20%, and the upper 20% of men consumed 43% more than the bottom 20%. When looking at plasma (blood sample) vitamin C levels, the data was even more compelling. Men and women with the highest vitamin C levels had a 62% reduction in their risk of developing type 2 diabetes over those subjects with the lowest vitamin C levels. The study was sizeable, following 21,831 men and women over a 12-year period. Vitamin C and glucose are interrelated in a number of important ways. Vitamin C is involved in regulating insulin metabolism in the pancreas. Also, vitamin C, in animals that have the capability (not man), utilize glucose as the substrate for a four sequential enzyme process in the liver resulting in vitamin C. This utilization of glucose by animals in vitamin C synthesis is one important reason why diabetes is not a chronic disease that one sees to any significant degree in wild animals. Finally, sufficient vitamin C intake can reflexly stimulate insulin release, pushing both available glucose and vitamin C inside the cells. 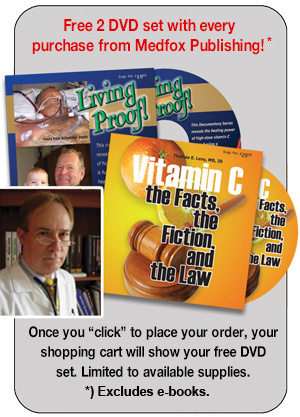 When vitamin C levels are low, it is logical that glucose metabolism will become chronically impaired, and if it is impaired severely enough and long enough, diabetes will be the logical outcome.